Add a touch of class to your outdoor dining experience with this classic garden bench from our Rosedene patio dining furniture range. To be in with the chance of winning this fabulous prize, all you need to do is ‘LIKE’ our Facebook page, ‘LIKE’ one of the competition posts and then ‘SHARE’ the post on your own wall for your friends to see. 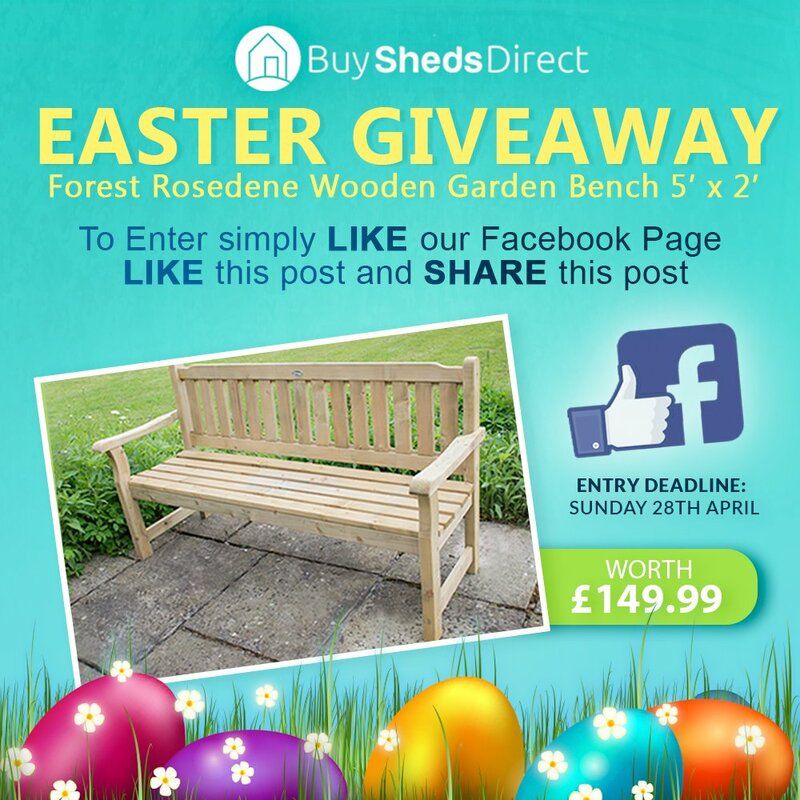 Deadline is Sunday 28th April at Midday and the winner will be announced on Monday 29th April 2019. Deadline for prize draw entry: midday April 28th 2019. 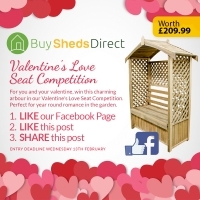 Visit our Buy Sheds Direct Facebook page and press the ‘Like’ button, find any of the competition posts to ‘Like’ and then share the post on your own Facebook wall.